This is another important story that I’d like to share. 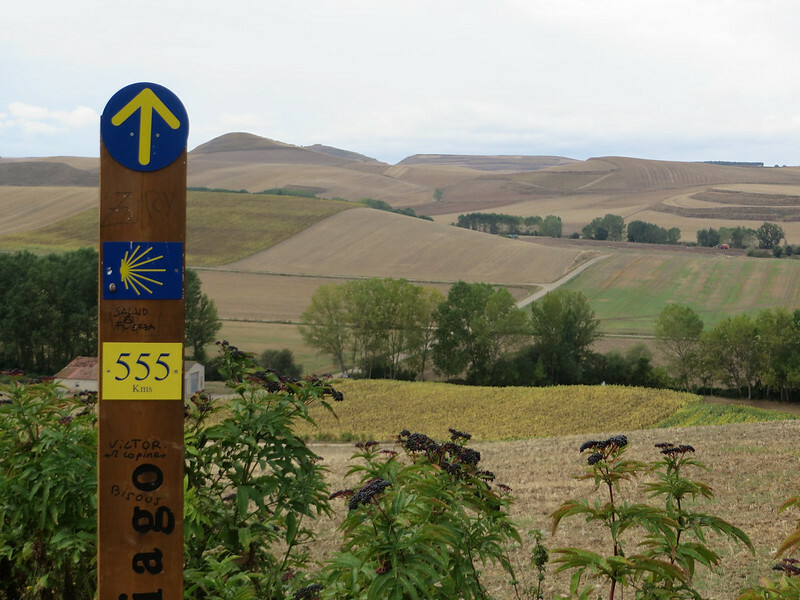 Part of my Camino was to volunteer in an albergue for two weeks as an hospitalera. 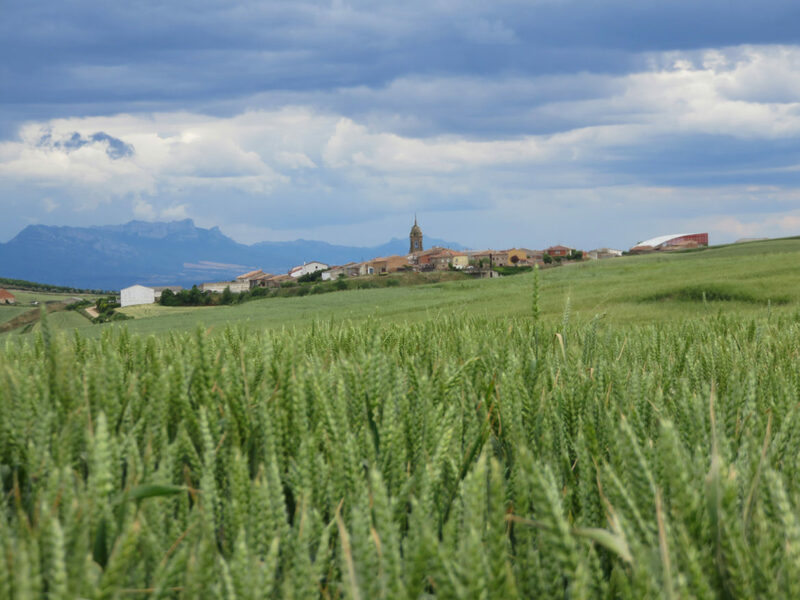 I had chosen Grañón in the La Rioja region because the village had very special significance to me on my first Camino. You can read my 2013 journal called Let go of the Old to understand why, or read on. 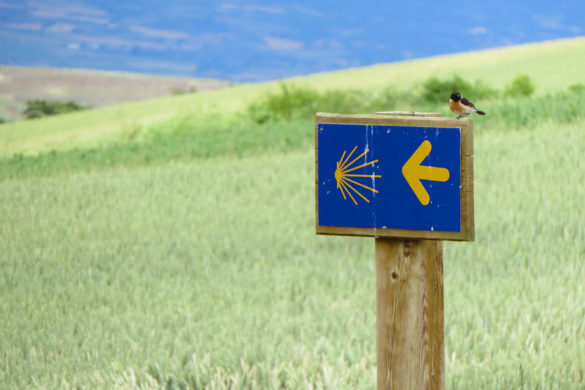 During my daily breaks, sometimes I would go for short walks on the Camino looking for a specific sign. 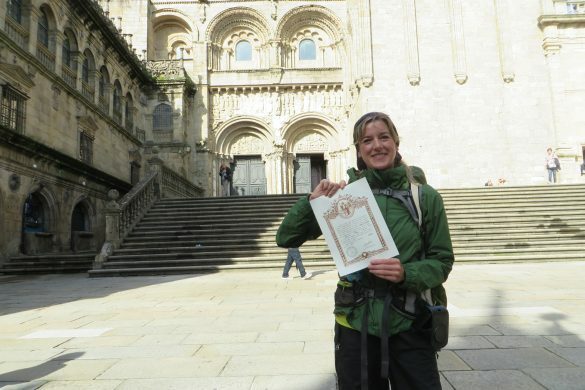 It was the 555-kilometer marker measuring the remaining distance to Santiago. 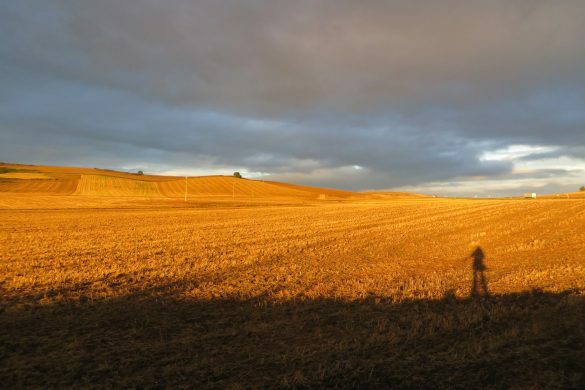 It meant something to me on my first Camino. I didn’t have much luck finding it, so I was beginning to think that I had been mistaken about its location. 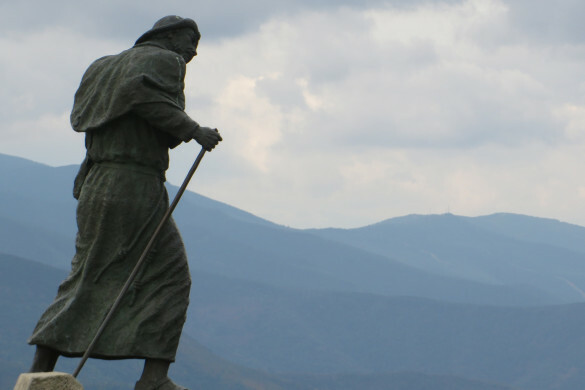 Then two days before I left Grañón I went out one evening and looked harder. 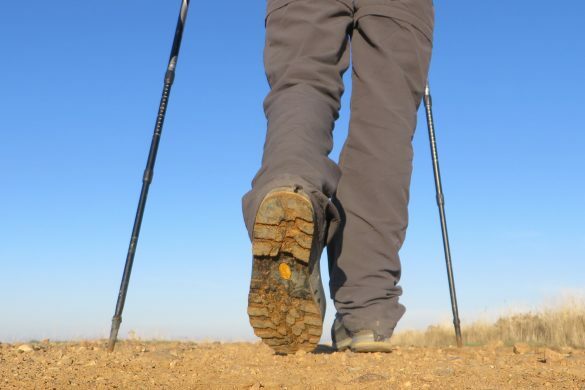 What I discovered the next day would help me to understand an important piece of my 2016 Camino journey. Just sitting outside in the plaza thinking. 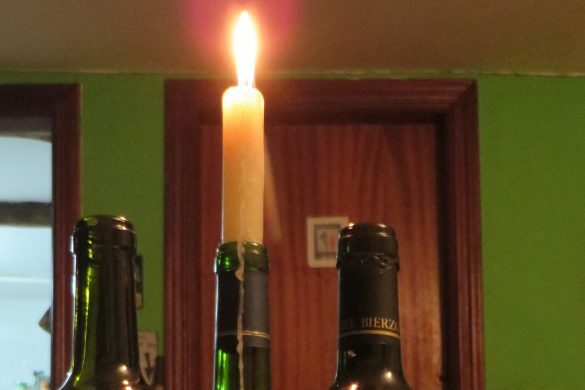 It’s 11:30 pm, late again for an hospitalera. I decided to go for a walk after oración for some solitude. I needed it this evening. 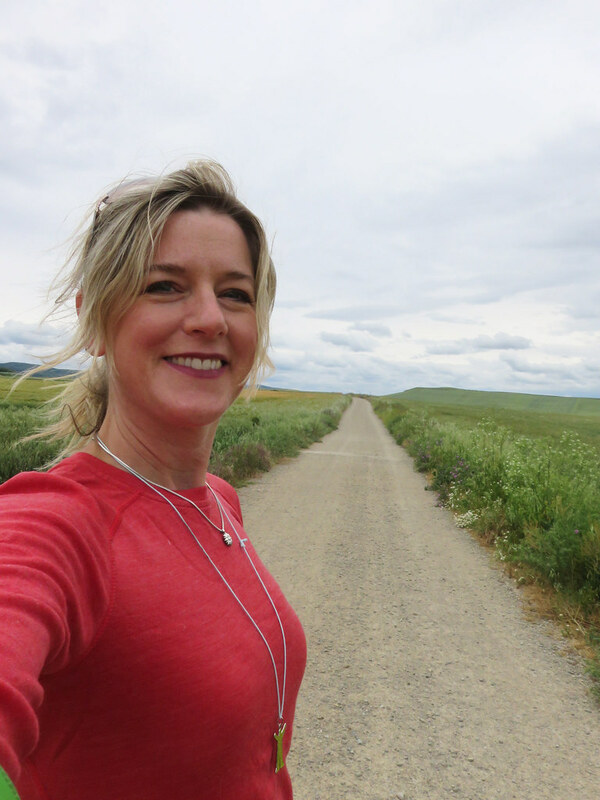 I walked to the end of the main street where the Camino leads down through the wheat fields. It was dusky then and the stars were just coming out. Now it’s dark. 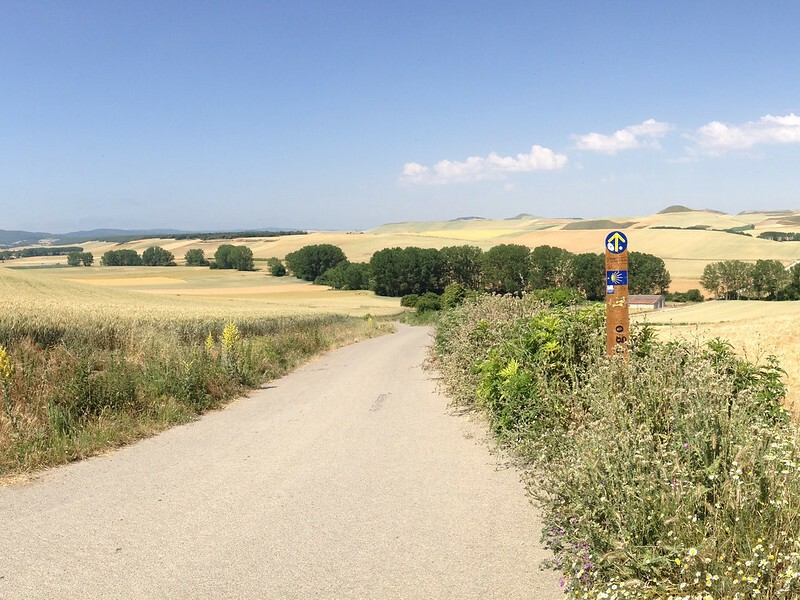 Since I have returned here to Grañón I’ve been stumped about where the “555 kilometer to Santiago” sign is…or was. I think it must have been taken out. 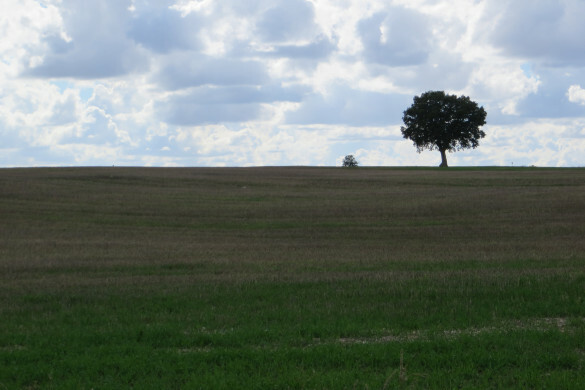 From my memory of it, and from Mom and Dad’s photo of it in the fall, it should be located right where the Camino path leaves the village and descends into the vast rolling landscape. 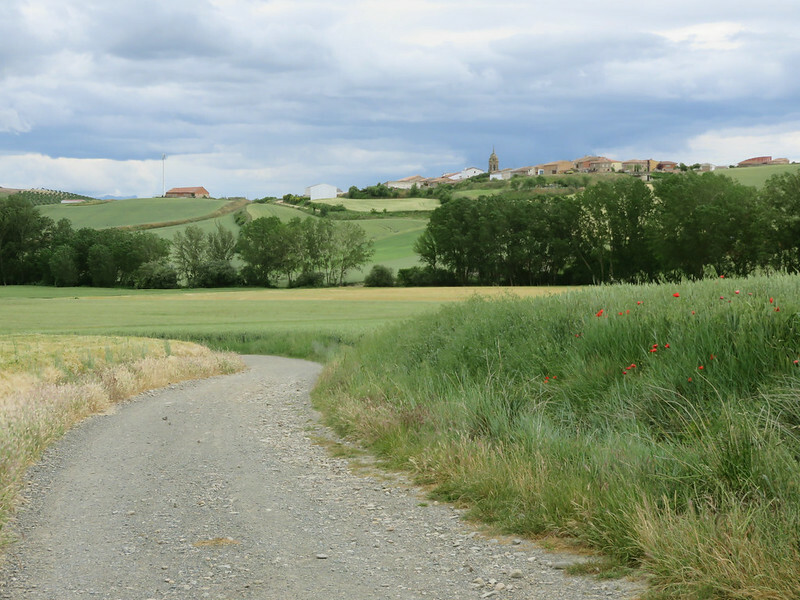 The sign meant something to me on my first Camino, so that’s why I’ve been so excited to see it. It was where I began to understand what my first journey was about, letting go. It might sound funny to some, maybe to many, that a sign like that would even give me a clue, but there is a story behind it. 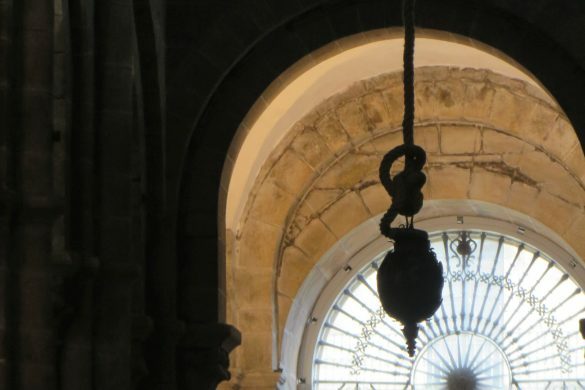 Before I left on my first Camino I would constantly see 5:55 on the clock morning and night. It was uncanny really. Anyways, at the time I was grieving the end of a relationship plus the death of my black lab, Buddy, 13 years old. I visited Buddy’s grave one day and laid rocks from his favourite riverbed on it. He was buried on the property where I had been married for 10 years. I sat there alone remembering his happy, healthy days. I also observed the place I used to live for so long. Then I allowed myself to cry. Afterward, I drove to one of my favourite places and sat on a log for a while. It was 5:55 pm when I checked my phone. I was floored. Those numbers, the time, came up so often, so I looked up the numerological meaning of 555. “It’s time to let go of the old things in your life that are no longer positively serving you,” the webpage read. It also talked about big change ahead. Looking back now it all makes sense. 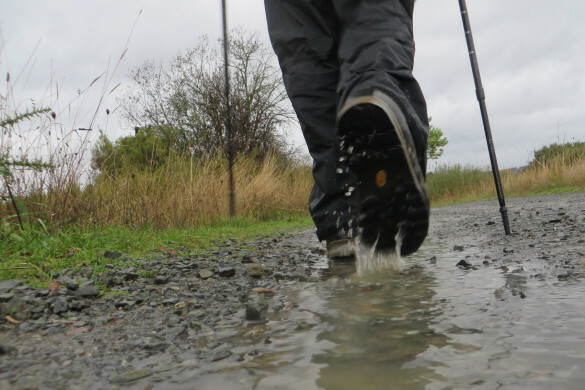 I embarked on my Camino journey from St. Jean Pied de Port to Santiago two months later. 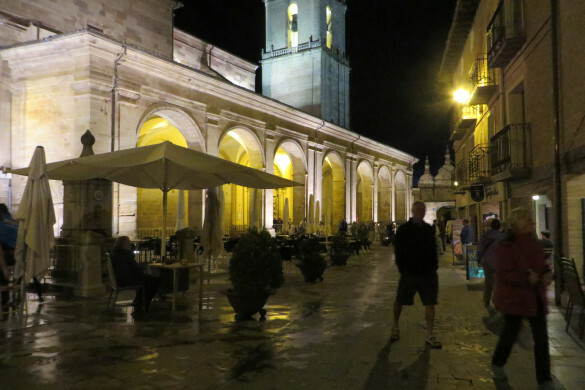 I sat at a bar here in Grañón sipping a café con leche one late afternoon. 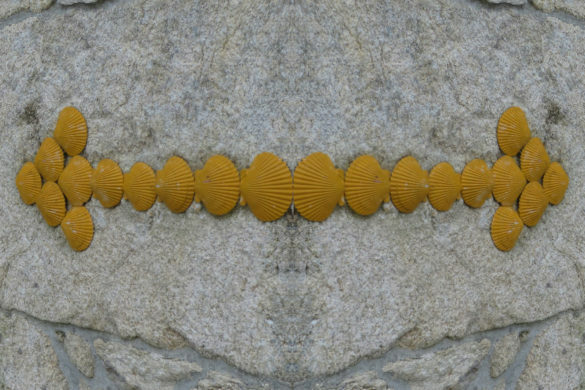 When I stood up to leave, a Spanish man with a long ponytail and pinstriped pants stopped me and placed a small brown rock in my hand. Sounds strange, right? 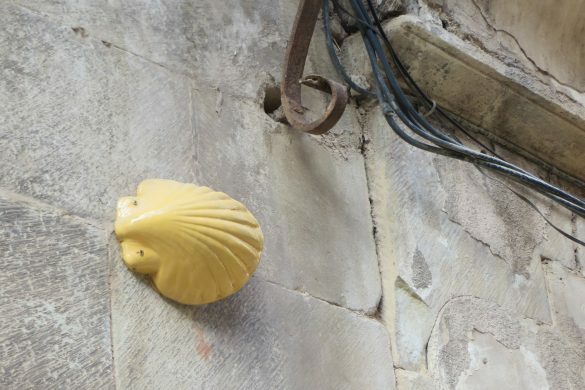 I thanked him and continued down the main street of the village following the Camino waymarks. Well, I did actually think about what I could ask the rock while I walked through Grañón. It involved pieces of my life. Then, strangely, on the edge of the village, I reached the 555 km sign. I stopped and stared at it. Then I accepted the message I needed to take from it, “Let go of the old”. Someone told me the other day that I have probably done that, let go of those old things. I know I did a long time ago. They also said that I likely don’t need that message, or those numbers, anymore and that the portal, chapter, or whatever you want to call it, is closed now. The reason I chose to come here to Grañón is because of the epiphany I had here about the meaning of my old journey…the rock, the sign and ultimately the understanding I took away from it. 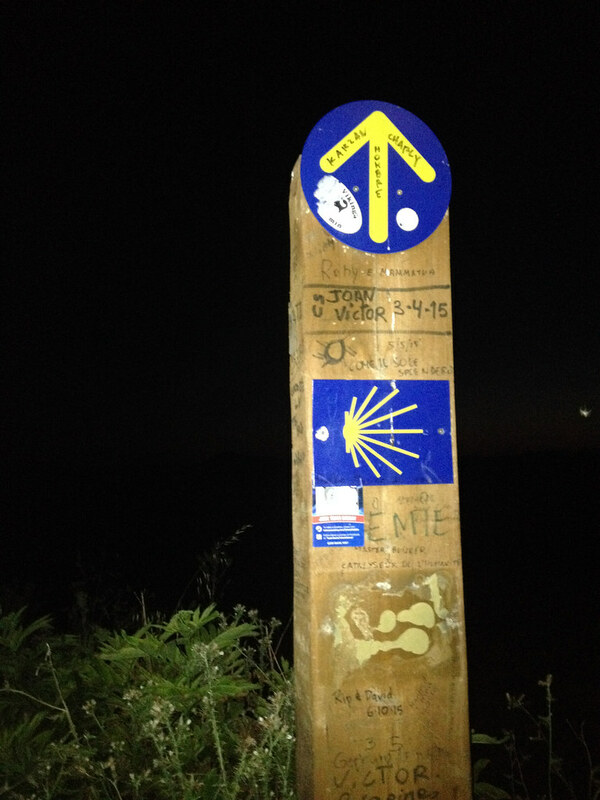 That night, before I returned to the albergue, I investigated a post located on the hill on the way out of Grañón. I wondered if it could possibly be the one. I found the sign. It was there all along. I have looked at it many times since I’ve been here in Grañón. It looks much different now all covered in graffiti, plus the 555 km plate has been torn off. I didn’t recognize it. 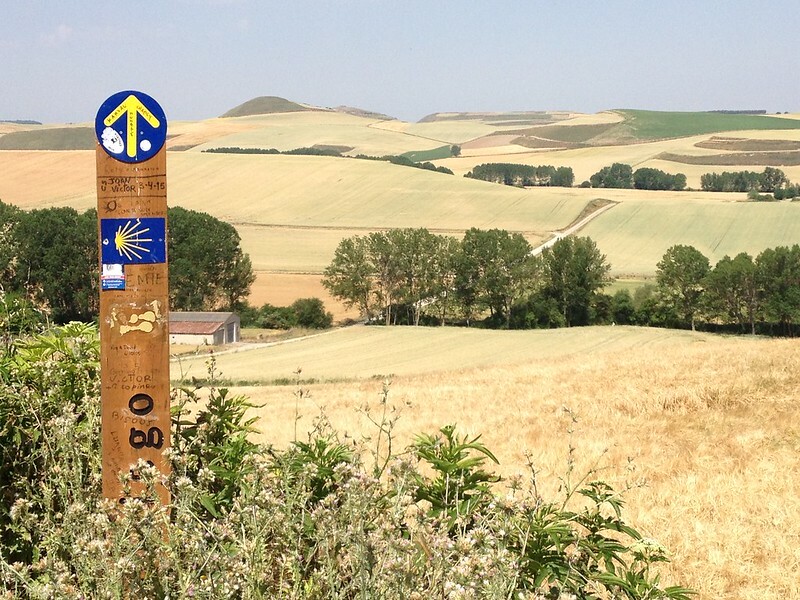 I looked at the old image of the sign from my 2013 Camino Facebook album this morning. I downloaded it so I didn’t need wifi to bring it up when I compared it with the post standing on the hill. The backgrounds matched: the distant hills, the path and the building in the background. 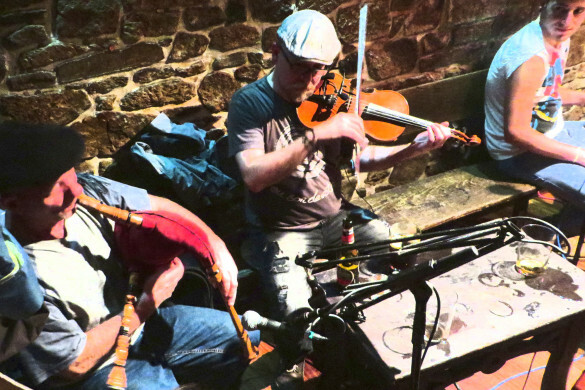 I smiled and said outloud, “Thank you,” and then I walked back up the hill. It’s interesting to me that I didn’t recognize the sign. It seems obvious now. I guess I was expecting to see the three fives, maybe like I was expecting (or hoping) to experience the same kind of Camino. 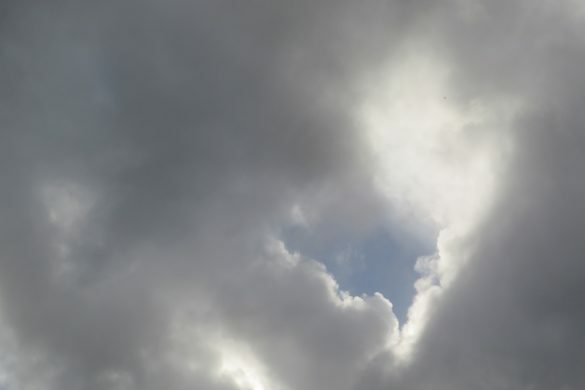 In the past, the sign represented “letting go of the old”. 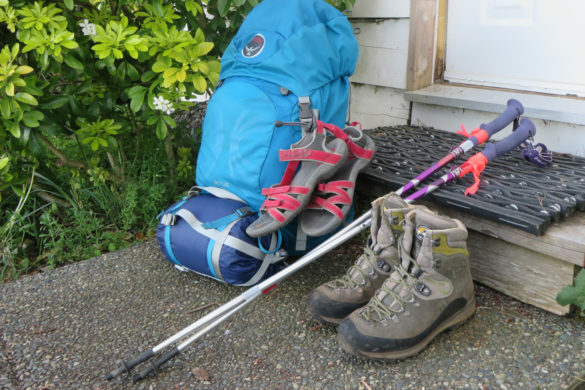 My entire journey, including the purging after I got home, was all about letting go. I was beginning to understand that this journey was too, only it would be about letting go of something else.